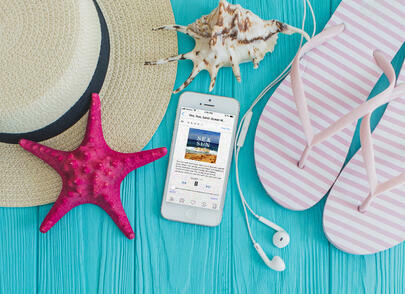 Summer is the perfect time for students to get really into audiobooks. Listening to stories helps build vocabulary, fluency, and comprehension skills. It's a great, easy, and fun way to combat the Summer Slide. Plus, it can be a way for everyone in the family to benefit and bond. When families listen together, the stories' plots and characters provide common points of reference for better conversation while everyone enjoys screen-free entertainment. It may be a few months yet before Summer Break, but it's the perfect time to get started thinking about how you will encourage students to keep up their listening habits. 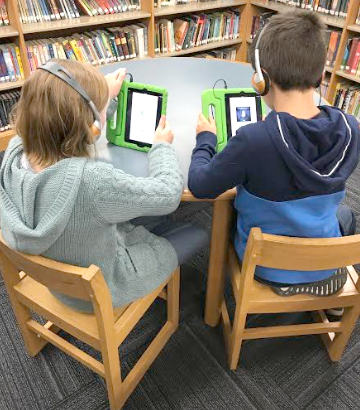 Below, Winthrop School's Library Media Specialist, Karen, shares her experience with Tales2go. Her school's subscription started right before summer, so she incorporated it as part of their summer reading program. Winthrop School is a PreK-5 elementary school in suburban Massachusetts, with just under 400 students. We are a Title I school with a small but growing number of English Language Learners. Last school year, we launched Tales2Go as part of our summer reading rollout. During library classes in June, we introduced students to Tales2Go as a new and exciting option for families to use over the summer. Information went home to parents via the school newsletter and with student report cards on the last day of school. Despite having a short amount of time to introduce this new resource, we were happy with the amount of listening time clocked over the summer. In September, the library staff reminded teachers, students, and families about our Tales2Go subscription, and we answered questions about logging in and creating bookmarks. We sent letters home once again with passwords and login information, and we put reminders in the school newsletter. During library classes in the fall, we reviewed how to access Tales2Go from home and from school. At an Open House for families, we had a listening station in the library for parents and students to try out. Many families reported that they had used Tales2Go over the summer and that they enjoyed it. This year, we have been pleased with our listening minutes. 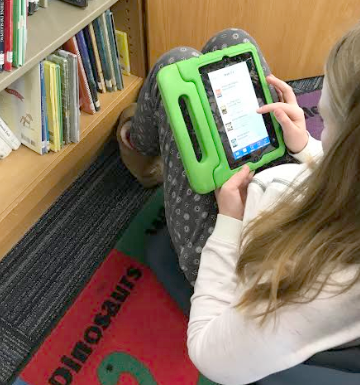 Our numbers increased dramatically when the fifth grade discovered that many of their book group books are available on Tales2Go. Students have been able to dive into their books more deeply when they have a listening option. Teachers have reported that book discussions are richer when all students can access the content. Since promotion is key with any new resource, we are seeking ways to encourage students and staff to try Tales2Go if they haven’t done so already. We have created special book displays, and we have plans to encourage use of Tales2Go during our Drop Everything and Read times. As the school library media specialist, I am convinced that audio books are an excellent choice for expanding students’ access to books throughout the year. They are another way to get students excited about reading, and they offer a way to enjoy more challenging texts than students can read by themselves. Based on the feedback I have received so far, I believe that Tales2Go is an excellent investment toward our students’ reading futures.